This 12×24 inch Geneva Oil on canvas captures great light on a challenging short hole. Tom Doak is a true genius of golf course architecture. 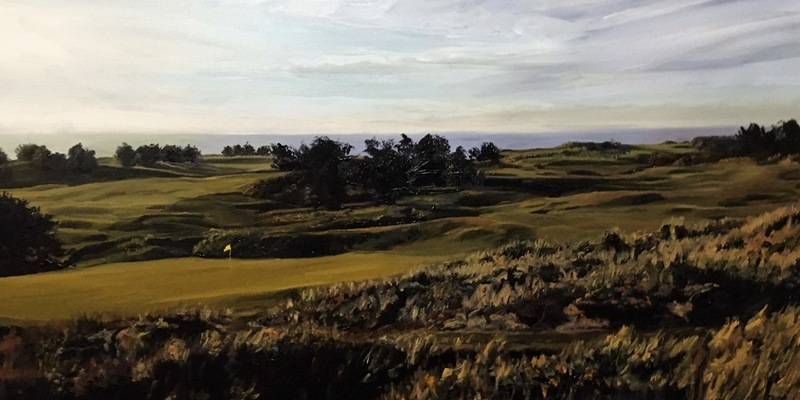 Posted in Art, Golf, Landscape, Oil PaintingTagged bandon dunes, doak, golf, golfart, golflandscape, oil on canvas, oil paintingBookmark the permalink.